The Accelerated BSN is an intense 15-month, on-campus option for students who hold a bachelor’s degree or higher from an accredited college or university in a field other than nursing. Courses during the 15 months focus on developing nursing knowledge and skills needed to enter nursing practice upon graduation as a BSN prepared nurse. A bachelor of science in nursing (BSN) degree from the MUSSON will prepare you for a career in nursing, one of the fastest growing, most trusted professions in our country. Learn from outstanding, supportive faculty who are leaders in nursing. 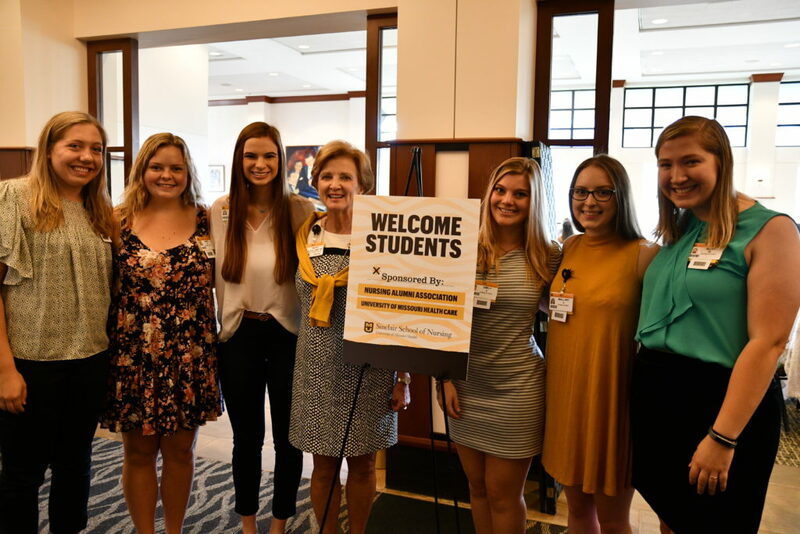 Actively engage in learning in our state of the art Simulation Center and benefit from high quality clinical experiences in our academic health sciences center, University of Missouri Health Care, and surrounding health care facilities. Join peers in a challenging curriculum to prepare you to meet health care needs now and in the future. Graduates are prepared to enter into nursing practice in traditional acute care hospitals, mental health facilities, outpatient care centers, as well as community health agencies, schools, and many other settings. Graduates may also choose to continue their education in advanced practice, educator, and research roles. The undergraduate program is approved by the Missouri State Board of Nursing and is fully accredited by the Commission on Collegiate Nursing Education.